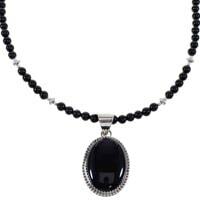 Necklaces date back thousands of years, and have been worn by Native American Indians for numerous reasons. Some of the more popular reasons include status, wealth, and tribal affiliation. 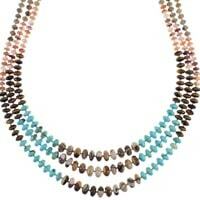 Depending on what different tribes' value as far as materials, and the more intricate a necklace is, the more it is valued. Of course status was not the only inspiration for Native American necklaces. Religious beliefs among the tribal nations played a strong role in the wearing and creation of the different American Indian necklaces. 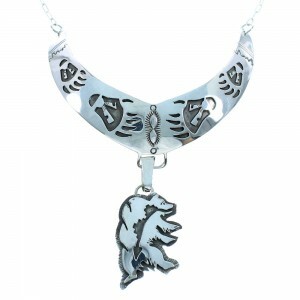 Fetish necklaces with stone animals in them are a good example of this. Animals portray certain strengths and spirits and many artists will incorporate these in their necklaces. Many necklaces were made for costumes used in ceremonial dances, and then incorporated into some of the styles worn today. Most people today wear necklaces purely for fashion purposes. We offer a diverse variety of Native American necklaces, available in every price range with something for every type of person. There are necklaces made for men and woman alike, whether you choose to wear a traditional Native American necklace or a contemporary style of necklace, SilverTribe is your number one source for the best American Indian necklaces available on this planet. Native American cultures have developed some of the most unique and distinctive necklaces ever seen. 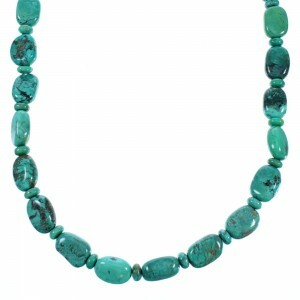 Many Northeastern tribes developed a unique style of bead necklaces and choker styles, while the Santo Domingo beaded turquoise necklaces are extremely intricate and very popular in the South. 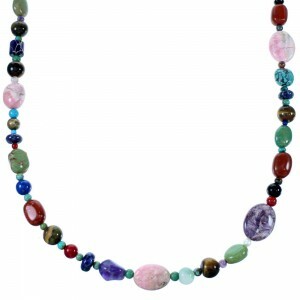 Beaded necklaces now come in a large array of styles, colors, and with many unique and unusual materials. 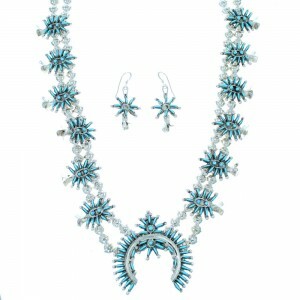 Made popular by the Navajo Indians, the Squash Blossom necklace is a timeless classic, and is considered by many to be the ultimate Native American necklace. 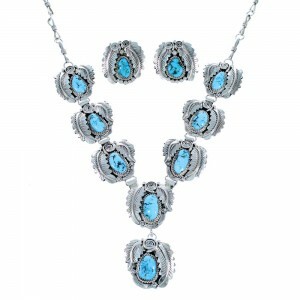 The Squash Blossom necklace, usually set with turquoise, now comes in a wide range of colors, and styles, some even including animals. Our artists love to use animals in their designs, horse necklaces, eagle necklaces, and turtle necklaces are among some of the favorites. Multicolor necklaces are another unique and ever increasingly popular design in Native American jewelry. At SilverTribe we carry a wide variety of Native American coral necklaces that range in complexity from a very detailed inlaid link necklace, to simple bead necklaces with Native American pendants. 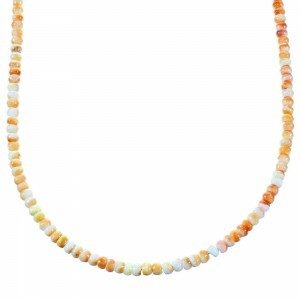 The materials used in our Native American opal necklaces can be as unusual and diverse the peoples of so many revered tribes. Silver is by far the most common metal used in the creation of these masterpieces, 14k Gold is used to a lesser extent, but should not be overlooked. The Navajo Indians have developed a reputation for their stringing of beads to create some of the most sought after beadwork in the world. 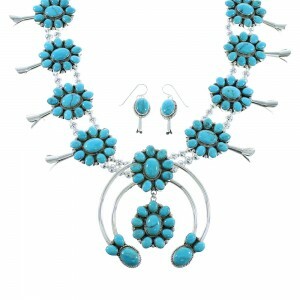 The Navajo bead styles include but are not limited to, silver bead necklaces, stone necklaces, and glass bead necklaces. 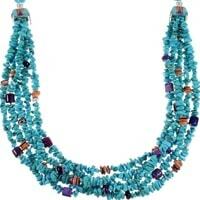 Each Navajo bead necklace we sell is well-crafted and stunning in design. These are just a few examples of some of the finest beaded jewelry made. 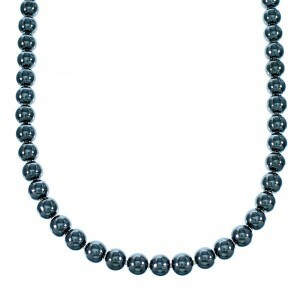 Silver beads are widely used in American Indian necklaces, whether they are an intricate handmade and highly decorated accent for a necklace with stones, or plain round beads for a Native American all silver bead necklace. 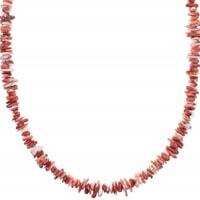 Some of the oldest American Indian necklaces used materials made from plants, seeds, wood, and bone. 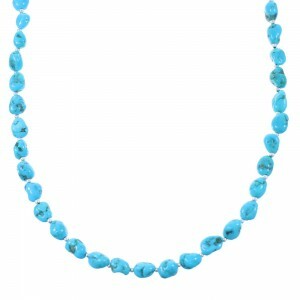 A Navajo bead necklace is one of our most popular and alluring selections. 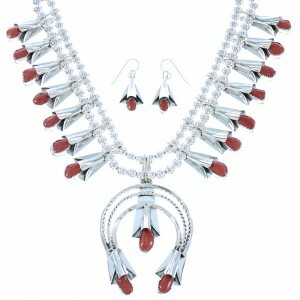 At Silver Tribe, we are very proud of the jewelry assortment and quality of Native American necklaces we carry. 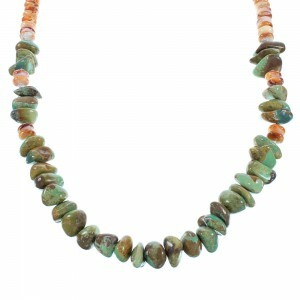 We hand select the finest Native American necklaces from all over the country to bring you nothing but the best. 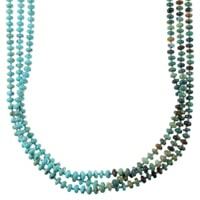 Everything from silver chain necklaces, Squash Blossom necklaces, chokers, or even multi strand bead necklaces, we try to bring you nothing but the very best Native American jewelry and malachite necklaces out there. We are always expanding our jewelry inventory of traditional Indian necklaces and contemporary styles to fit all of our customers' needs. 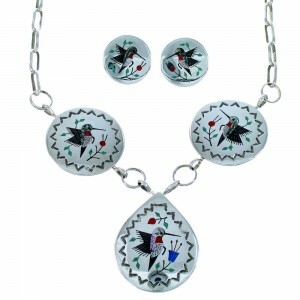 We feature inlay necklaces that far exceed the normal necklaces previously seen in the industry. Some of these necklaces can be found in our WhiteRock Collection, which consists of some of the most amazing jewelry on the market. 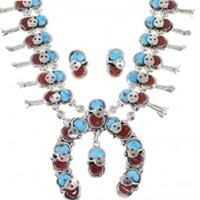 There is no limit to the diversity and appeal of Native American necklaces we carry. New styles are always coming to light, and older styles become fashionable once more (the beauty of these necklaces never falls out of fashion). We also have a growing selection of Native American necklaces for men. These items are crafted for beauty and durability and are among our most popular items for men. These Native American necklaces for men are perfect for a casual night out or special occasions, when you want people to admire the detail and intricate stonework involved. 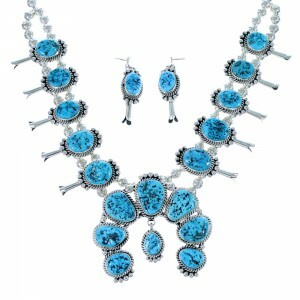 Countless enthusiasts of American Indian jewelry also seek our Indian necklace sets. The collections of onyx necklace sets you'll find here are crafted to high standards and will continue to look stunning for years to come. 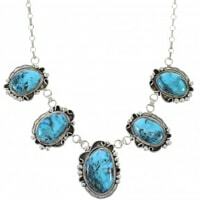 Our team is dedicated to bringing you the very best Native American necklaces along with the very best Southwest jewelry at the very best prices. We strive to be the best. Give us the opportunity and you will not be disappointed. The sheer variety is stunning. 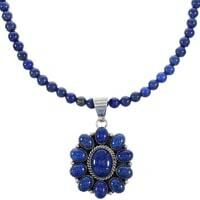 We offer everything from malachite necklaces to stunning lapis necklaces. Our stones are selected to showcase a dazzling array of color and texture. 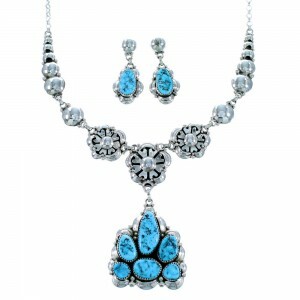 Our denim necklaces highlight the simple sky-blue beauty of a remarkable stone that will compliment any occasion. For those with an interest in history, an amber necklace may be the right choice: it is a fossilized tree resin formed over millions of years. No matter what item you are looking for, SilverTribe can help you find the perfect item. 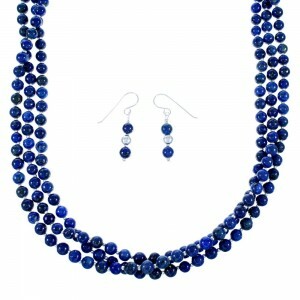 Whether you are in the market for a beautifully crafted oyster necklace or an elegant, yet affordable, azurite necklace. 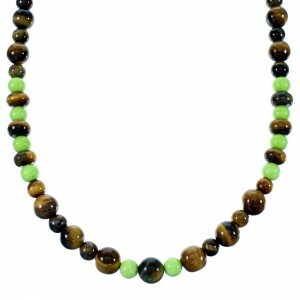 Our selection of tiger eye necklaces is sure to please jewelry collectors of all tastes. The depth and lovely coloration of this stone makes it one of the most popular items in our catalog. 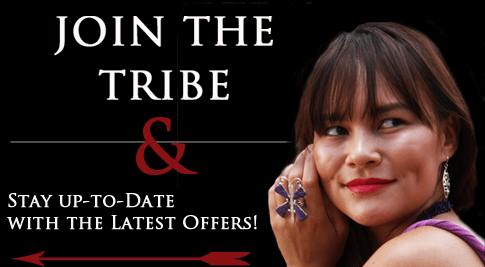 Shop SilverTribe today to experience the best selection of Native American Jewelry on the web at prices you won't find anywhere else.